Going on a marathon is quite similar to going on a pub crawl. At one, you get tedious physical contest, that drains your heart and soul, and the other one is going on a marathon. *ba-dum-tss* Anyways, Barcelona marathon is a great way to explore a sunny and positive side of this city – if there weren’t enough already from both of those! Pub crawls and handmade stuff, what now? Crawtsmanship, DIYn and everthing handmade will storm the gates of Barcelona in April! Pub crawls and these activities might no go hand in hand, but wo knows, everyone welcomes a challenge once in a while! The event is open to everyone, may they be professionals or just DIY enthusiasts! Friday 8th of April will be a special day for music lovers in Barcelona, since world-renowned singer Anastasia will come to concert with her sold out tour titled ‘Resurrection’. Sold out, though, does not mean that one cannot get tickets through other creative means! Biking is big in Barcelona, since the Circuit de Catalunya is a popular destination for several series. 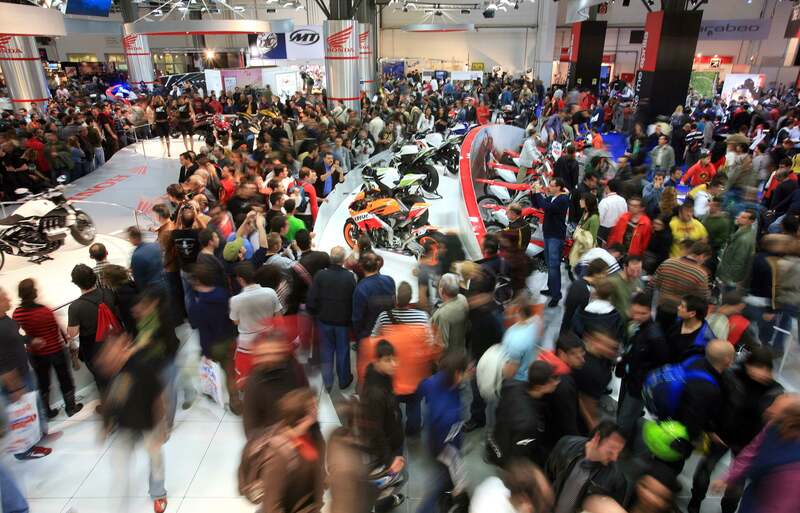 Motor racing as such is a loved phenomenon in the region, and what better way to familiarize yourself with the Catalan love for bikes, then checking out this year’s MOTOh exhibition! And if you feel like exploring the nightlife of Barcelona, remember, Pub Crawl Barcelona is always at arm’s reach!